Treat your taste buds to a flavour sensation as you feast on eclectic cuisines from around the world at our 10 restaurants and 16 bars. 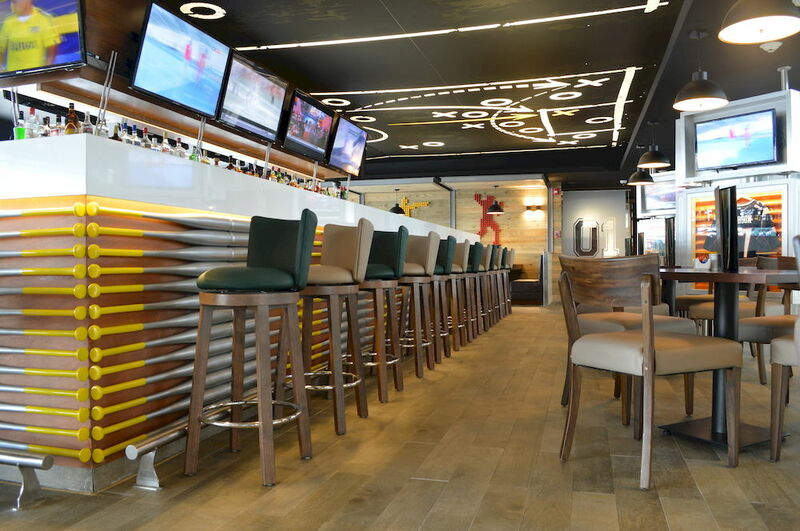 Enjoy local and international delights in buffet-style or a la carte dining venues, then grab a signature cocktail, and mingle with other guests at the many on site bars. Treat yourself to a mid-afternoon coffee and exquisite dessert at the cafe. Our unlimited, reservation-free dining also offers a Japanese Teppanyaki and Sushi Bar, an authentic Italian trattoria, Mexican and steak restaurants among others. On any day you please, unwind with a mid-afternoon coffee and exquisite dessert at the cafe. With our great 24 hour room service, indulge in delectable dishes in the comfort of your own room or suite while you delight in Cancun´s mesmerizing sunrises, sunsets and starlit evenings. You’ll never miss an important game with our exclusive Sports Event Guarantee™. Our guests are never too far from refreshments. From the lobby to the beach and the swim-up pool bar to the martini bar, we’ve got a wide selection of specialty cocktails, international and local brand liquors, beers, and house wines. Discover the freshest local ingredients and enjoy a wide selection local and international flavors served at the stations of buffet restaurant, also offering fresh fruit juices, a special kids buffet area and healthy options. Open for breakfast, lunch and dinner Dress code: Evening casual. 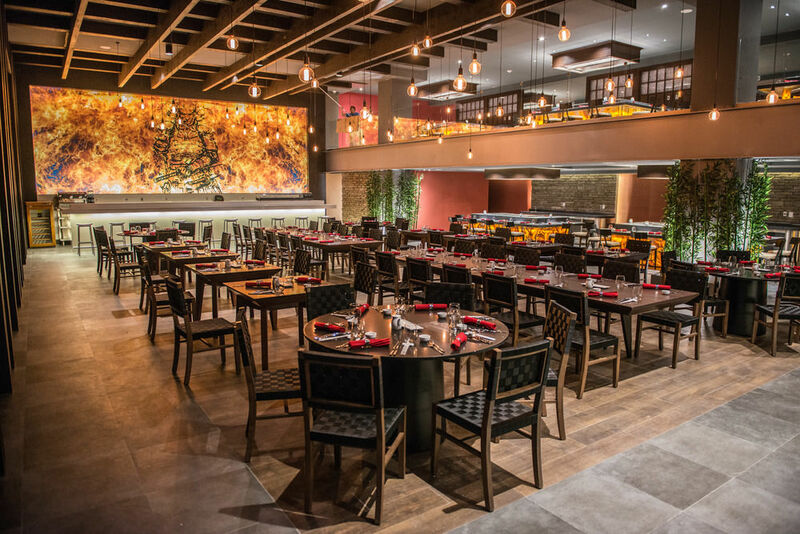 Impressive design sets the mood for an authentic teppanyaki experience. Also, explore the best of Japanese cuisine and fresh sushi at this a la carte dining experience. Open for dinner Dress code: Evening casual. This unique restaurant offers guests a grand steakhouse experience. Watch chefs in the open kitchen as they perfectly prepare your steak. Also, our onsite sommelier can suggest a pairing from our magnificent Cava Wine Cellar*, a feature of this stylish a la carte restaurant. Cava Wine Cellar Dinner is available for celebrations or private dinners ($). Open for dinner Dress code: Evening Casual. Enjoy a wide range of Italian cuisine at this delicious trattoria. Its open air design and authentic menu make this restaurant the perfect place for families to enjoy well-known Italian comfort food. Open for lunch and dinner Dress code: Evening casual. Taste the culinary treasures of the Mediterranean at this stylish and modern restaurant. 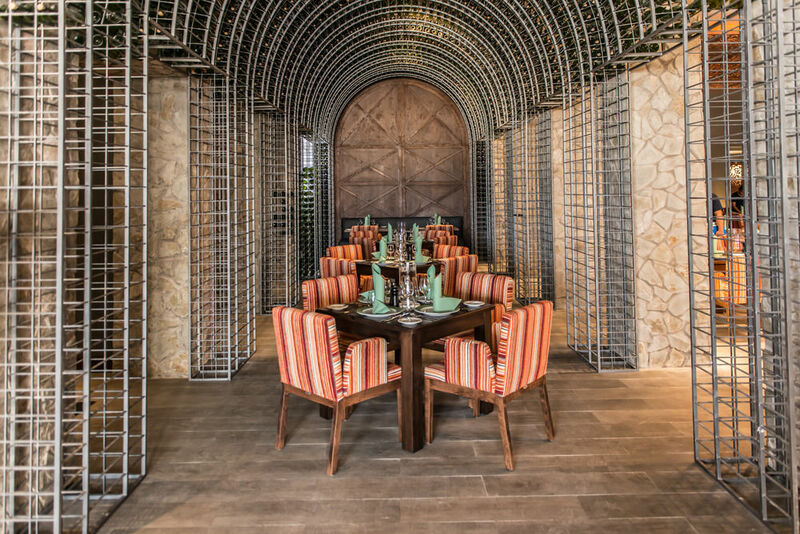 Delicately prepared dishes can be served under the bottle trellis or privately in small alcoves designed for two. Open for dinner Dress code: Evening casual. 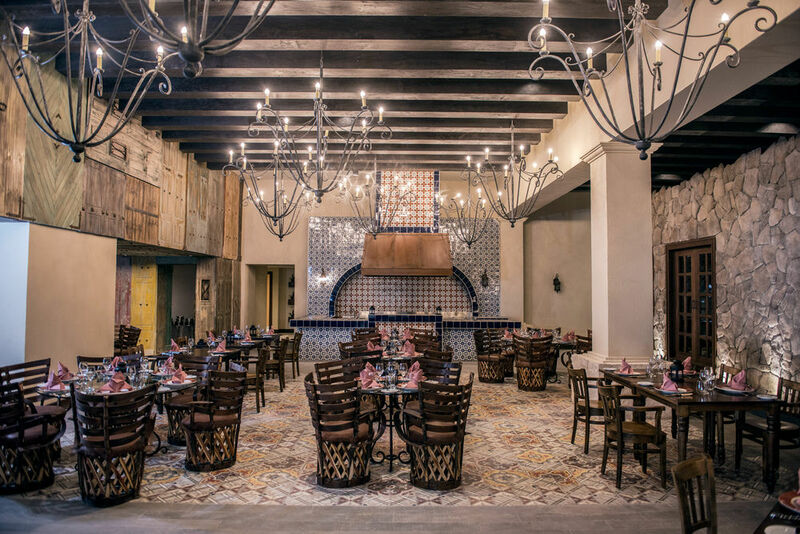 Your authentic Tex-Mex experience awaits! 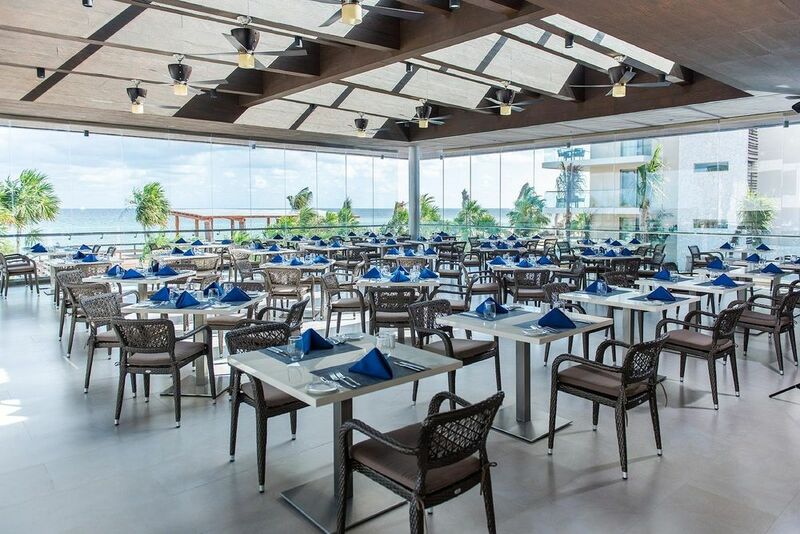 Set by the pools of Diamond Club™, this open air fusion restaurant provides the perfect setting to enjoy authentic favourites like sizzling fajitas or fresh grilled seafood and delectable hickory smoked meats. Open for lunch* and dinner *For Diamond Club™ guests only Dress code: Evening casual. Watch the sun rise over the ocean in the morning or relax in the cool evening ambiance of this elevated beachfront restaurant. For the exclusive use of Hideaway guests, a menu of the freshest selections are available during any meal of the day. Specialties are fresh smoothies, light ceviche and garden salads along with grilled seafood. Open for breakfast, lunch and dinner Dress code: Evening casual. This restaurant serves up Caribbean style authentic just steps from the sand with a panoramic view of the ocean. Menu includes nachos, grilled chicken and refreshing sorbets. It also features a special kids section for family-friendly daytime snacking without having to leave the beach. Open for lunch and dinner Dress code: Evening casual. An experience for all the senses! As you delight in the course in front of you the chef prepares the next in the open-concept kitchen. From one course to another, the soundtrack of the evening changes from exposition, to rising action and an exciting pinnacle then falling to a delicious dessert finale. Dress code: Evening casual. Caffe Lounge Delight in a selection of baked breads, pastries, cakes, ice cream, cappuccino and espresso.